TicketLeader is Vancouver’s leading event ticketing services catering to venues located on the PNE grounds. TicketLeader’s main source of communication is email and what better way to spread the word than with a responsive email for their upcoming events and concerts. 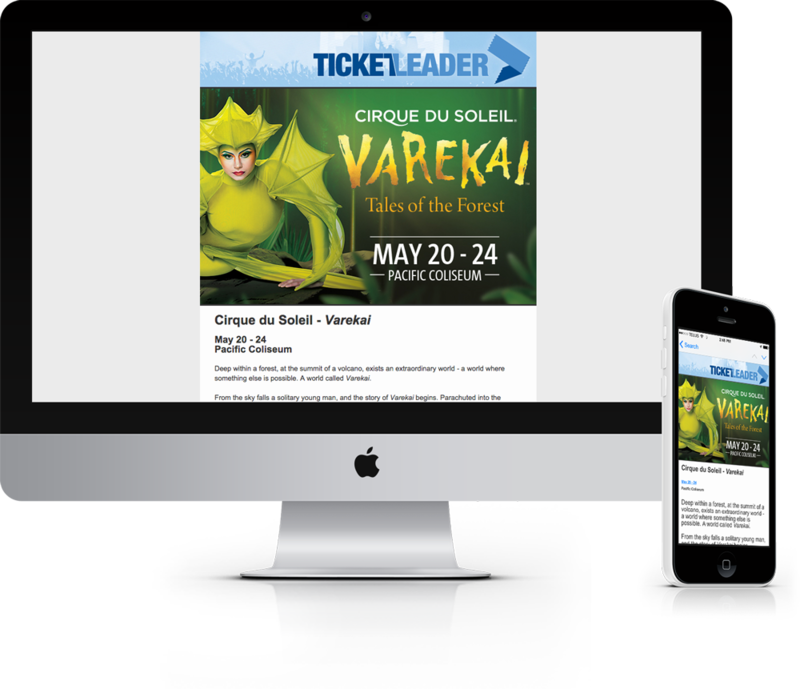 I work together with TicketLeader to design, develop and deploy responsive email campaigns that are not only branded for TicketLeader but branded to support each individual event. Learn more about promotional email campaigns.